There aren’t many options when it comes to selecting a 32-inch HDTV with built-in DVD player and that as well at a bargain price. oCOSMO is the brand that is mostly never heard of but the oCOSMO 32-inch 720P HDTV comes with an integrated DVD player so you just have to pop in your favorite DVD and it will automatically upscale it to a watchable resolution and all that comes at a very affordable price for less than $200, click here for details. This particular 32-inch HDTV by oCOSMO has a 31.5-inch LED 720P display and offers pretty standard connectivity options such as USB port, 3 x HDMI ports, component/composite audio/video etc. It has a vertical mounted DVD player. 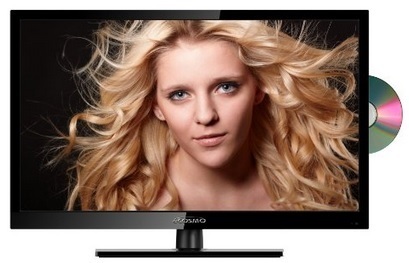 For those keen enough, they better read customer feedback about the oCOSMO 32-inch 720P HDTV by clicking here.